Andy Rodgers is returning to the Shire, the club reports this afternoon. 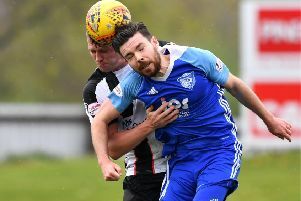 The Peterhead FC player is back at East Stirling on a month-long loan, according to the club on social media. Rodgers (32), who started his career at Falkirk, last turned out for them in the 2009/10 season before moving to Ayr United. He later joined Stenhousemuir in 2011 before going on loan to Peterhead in January 2013, eventually signing for the club at the end of that season. In 76 appearances for Peterhead, the striker has scored 24 goals.